March Madness is in full effect at Livingston County’s largest Ford dealership! 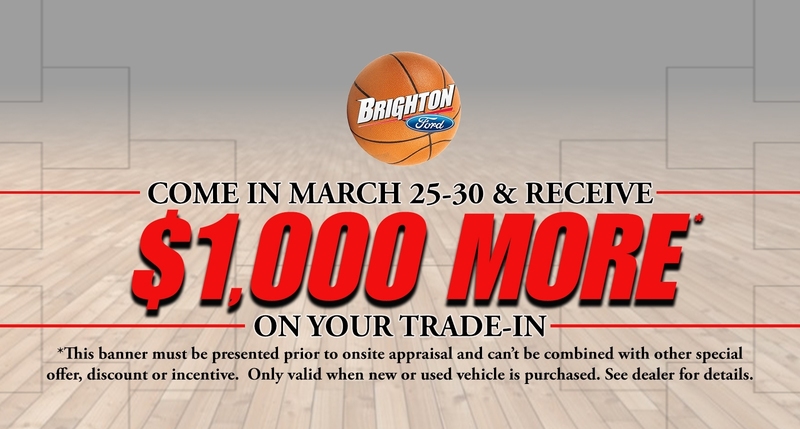 Get an extra $1,000 on your trade-in from March 25-30. 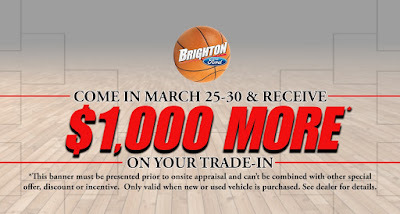 Whether you are trading in a Ford F-150 or a Chevy Malibu, Brighton Ford will give you an extra $1,000 for your trade-in. Get in before the end of the month for your extra $1,000! Match that with the best trade-in values in the state and you have yourself a great deal!